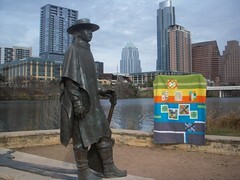 Austin Modern Quilt Guild: Renew your membership! Its that time of the year... time to renew your membership with the Austin MQG! You can renew your membership by clicking on the Membership tab at the top of the blog. Remember that membership is a TWO PART PROCESS. First, fill out the registration form. Second, pay with PayPal! While filling out the registration form, it is now required to sign up for your top three committee choices. The Executive Council and Committee Chairpersons will do their best to appoint you to your top choices. In order to have more involvement with members, membership will require being part of a committee! You do not have to be active on your committee, although we hope you will be. Being a member of a committee opens communication between members, Committee Chairpersons, and Executive Council. 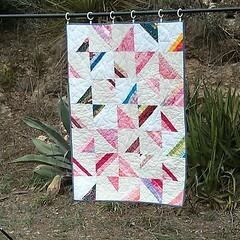 This covers the cost to join the Modern Quilt Guild in July and January! If you attended the April 2013 meeting, this was discussed in detail. 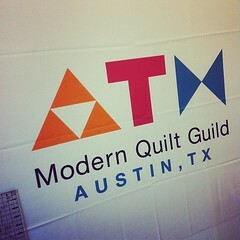 As a modern quilt guild, we want to utilize online payments. No payments in cash or check will be accepted. You must pay via PayPal. Here's to an exciting year! We can't wait to see you at the next meeting.